Ashland Hanover’s velocity has morphed over the decades. Wheels keep turning, but now you’re just as likely to encounter bicyclists as steam locomotives. At the juncture of two of the longest bike trails in Virginia, US Bike Route 1 (a north/south route) and US Bike Route 76 (an east/west route), Ashland can be your base for a fun libation vacation. Sip and nosh your way around some of Virginia’s prettiest scenery. 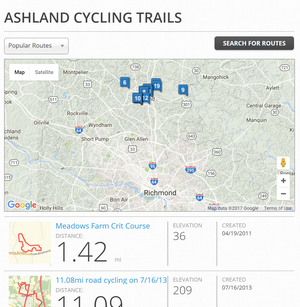 Map My Ride is a great resource for Ashland Hanover-area bike trails, with about a dozen trips mapped out ranging from 2 miles all the way up to 40 miles, with different skill levels noted. This “don’t-miss” site is where American Revolutionary hero Patrick “Give me liberty or give me death” Henry argued the famous "Parson's Cause" case against the king of England in 1763, kicking off the march toward independence for the colonies. 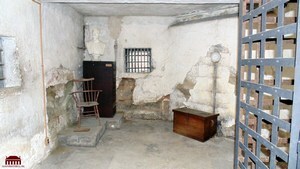 Open by appointment and for tours at different times of the year. 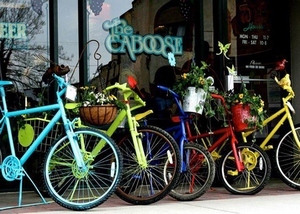 Stock up on provisions for your day’s cycling at The Caboose. On offer are local products sourced from farms in Richmond, Montpelier and other nearby communities, as well as imported cheeses and meats perfect for picnicking. The Caboose has free wine tasting on Friday nights and an extensive craft beer list too. 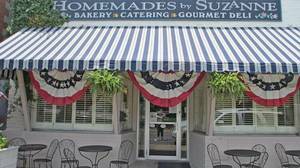 Grab a box lunch from Homemades by Suzanne and you’re good to go! Ranked #1 Caterer by Richmond Magazine on five separate occasions, you’re assured a tasty treat whether you choose crab cakes, chicken, turkey, beef or tuna. Or sit track-side before setting out and watch the trains rumble by. 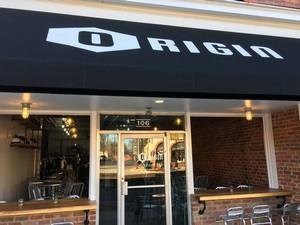 Origin Beer Lab is the r&d wing of the Center Of The Universe Brewery. (Center of the Universe: affectionate nickname for Ashland.) The brewery produces a rotating menu of eight different beers on tap, all of which are available here and only here. If you are looking for the craftiest of craft beers, you’ve come to the right place! Neopolitan style pizza, straight from a 900-degree oven, is the perfect nosh after a day of cycling. 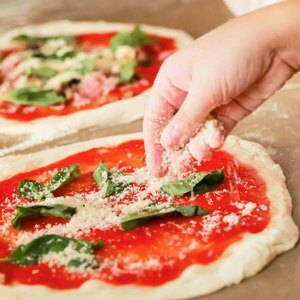 The purist recipe of flour, water, yeast and salt, covered in San Marzano tomato sauce with real cow’s or goat’s milk cheese and cured meats is complemented by an authentic Italian wine list, as well as 20 different craft beers on tap. Convenient to Richmond, yet with a peaceful, charming ambience, James River Cellars is run by founder Ray Lazarchic’s daughter Mitzi and her husband James Batterson. Enjoy a picnic on the patio or take in the view from the terrace.You’ll find an affordable selection of wines here, with favorites like Viognier and Cabernet Franc along with more unusual finds like Gewurtztraminer, Touriga and Petit Verdot.